Note: This listing is for signed & numbered limited edition copies, which can not be obtained through other retailers. This fine hardback volume has been prepared to celebrate the life and career of one of the greatest ships ever to conquer the North Atlantic. It tells her life in words and photographs. 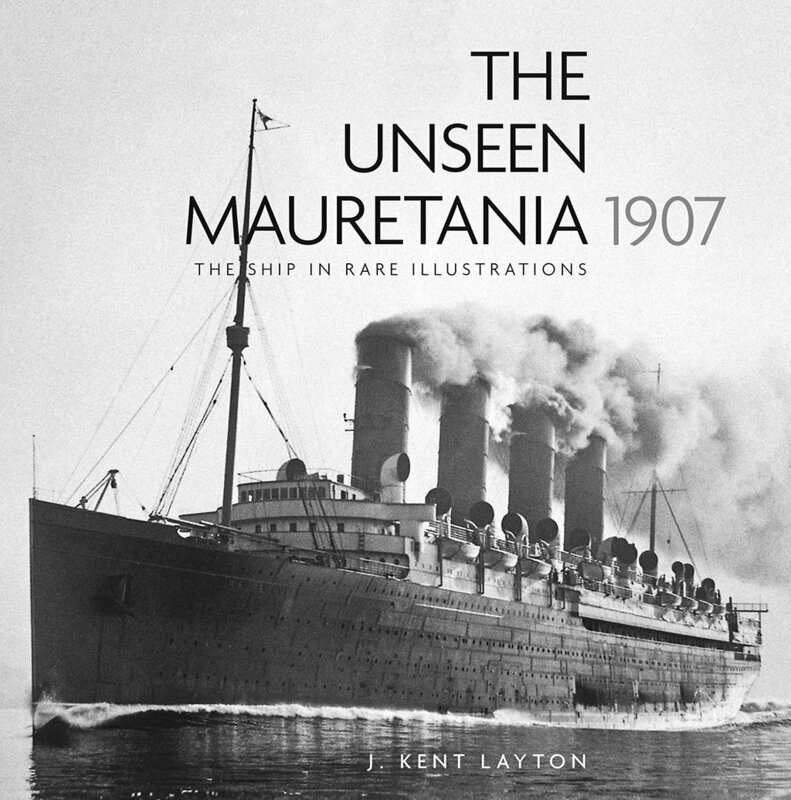 As the title of the book implies, archives and personal collections from around the world have been scoured in order to present a breathtaking, and as “unseen” as possible, visual record of the life of Cunard’s great speedster Mauretania. 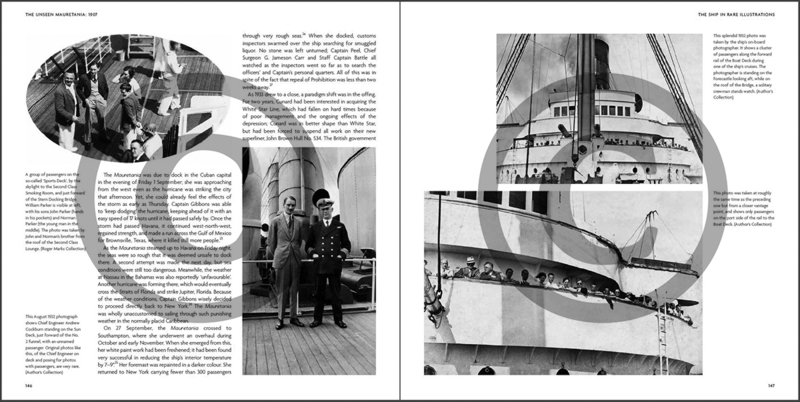 The Unseen Mauretania is an unprecedented volume on one of Cunard’s most legendary and successful liners. 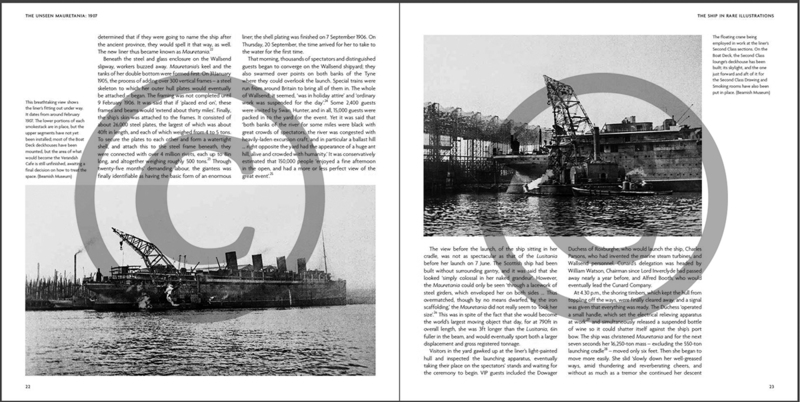 Although the Mauretania is a well-remembered vessel and is frequently remembered as the longer-lived sister of the Lusitania, or as the holder of the Blue Riband for two decades, there is a surprising dearth of books available on this great ship; and of the books that do discuss the liner’s career in details, very few are highly illustrated. This volume goes a long way toward rectifying that gap in the historical record. This book is part of The History Press’s ongoing ‘Unseen’ series, which means a high standard of quality. 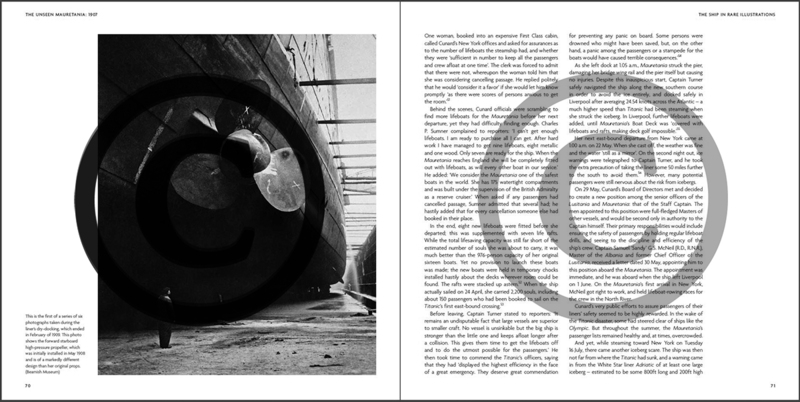 Printing, binding, and paper quality is superb, while the layout allows for large, crisp images to be reproduced. The text of this book shares insights that have never been published before, and should be a real treat for fans of this much-loved liner. 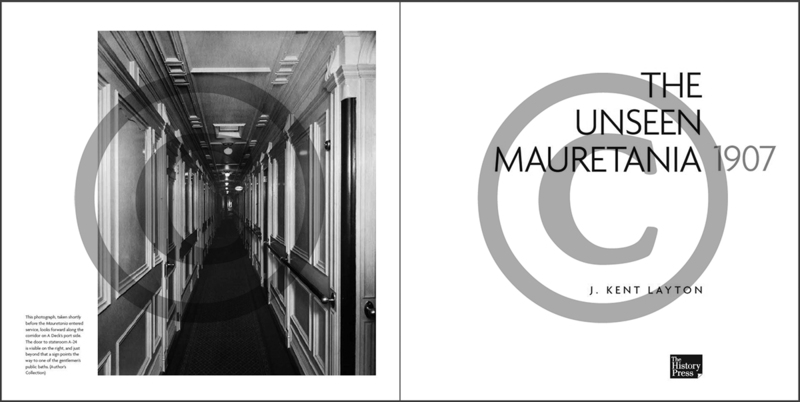 The book follows the entirety of the Mauretania‘s career, from initial concept through to the end of the line, and is a celebration of her incredibly successful life. This 192-page hardback book (176 pages of black-and-white plus a 16-page color section) features 227 black-and-white photos and illustrations, and 39 additional color pieces. The photographs have been specially selected for their rarity or for their stunning clarity, and many of them have never been published before. Saturday, 24 September 1904, was a pleasant day in New York City. The chilled sting of winter was yet weeks away, but the worst heat of mid summer had already passed. Temperatures topped out at 71°F, and the weather was fair with a light southerly breeze. Altogether it was a fine afternoon for American customs inspectors – who worked at the lower West-side Manhattan docks, where the greatest transatlantic liners berthed – to do their work. On this day the customs men were particularly busy. Three large ships were coming up the North River to finish their crossings: the British Cunard liner Umbria, a venerable if ageing ship with nearly two decades of service to her credit; also the American liner St Paul, which was much newer and larger than the Umbria; finally, there was the giant White Star liner Celtic. Just three years old, she was eclipsed in size only by her two newer sisters, Cedric and Baltic. On this trip she had carried a very full list of 3,318 souls, including the ship’s crew. This book is not to be missed by any liner enthusiast!